Bernardo Hees said he had few distractions from his work when studying in the UK. THE GLOBAL HEAD of fast food giant Burger King has apologised after he told students in the US that English cuisine was “terrible” – and that British women weren’t attractive. The food is terrible and the women are not very attractive. Here in Chicago the food is good, and you are known for good-looking women. If he views women as potential distractions in academia, I wonder how he views them in the workplace? It doesn’t make Burger King an attractive employer for women. Elsewhere, Michelin-starred chef Marcus Wareing called the comments “an insult to British gastronomy”, particularly in light of the food served up by Burger King. Mr Hees apologises if his comment has offended anyone. It… was intended as a humorous anecdote to connect with his audience. Born in Brazil, Hees worked as a logistics analyst in his native country after he graduated. 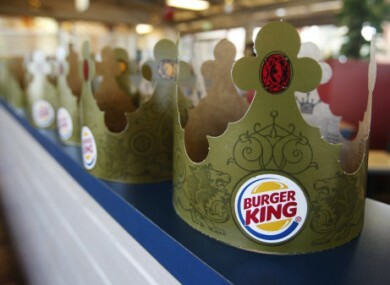 He was appointed CEO when Brazilian private equity firm 3G Capital took over Burger King in September 2010. His appointment had surprised many, given that Hees had no experience in the food service industry. Email “Whopper trouble: Burger King CEO insults British food and women”. Feedback on “Whopper trouble: Burger King CEO insults British food and women”.